We are over a week into Advent now, but there's always time to get centered this season. 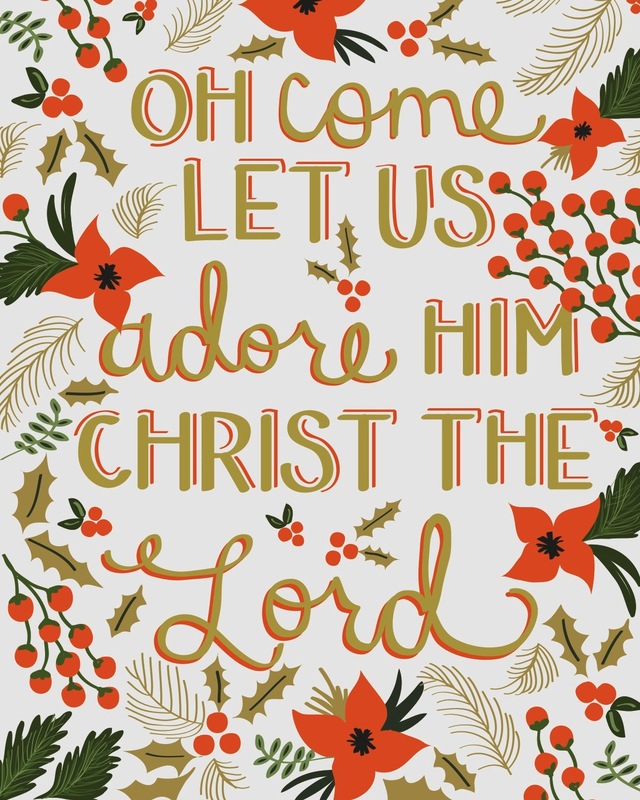 I've found a few good devotionals if you're interested in connecting with the reason for the season. I read Ann's book One Thousand Gifts and I loved her writing. I noticed that she had a Christmas book and so last week I downloaded it onto my Kindle. She has daily bible verses and reflections in her amazing words. I read this on the train in the morning - it's a great way to start the day. This prayer guide has a bible verse each day with a thought to meditate and pray on. Every Sunday there is an essay-like devotional. I've been reading this on the train home from work. The passages are short and put me in a good frame of mind. If you're looking for a simple way to connect this season, this is an easy and free way. I've bought several of Naptime Diaries prints and so when I saw that they had a devotional for this season, I bought one. It comes with a book and access to an online space with questions and videos. I have been reading these before I go to bed. The short devotionals are thought provoking and beautifully written. This one is a great one to do anytime of year.